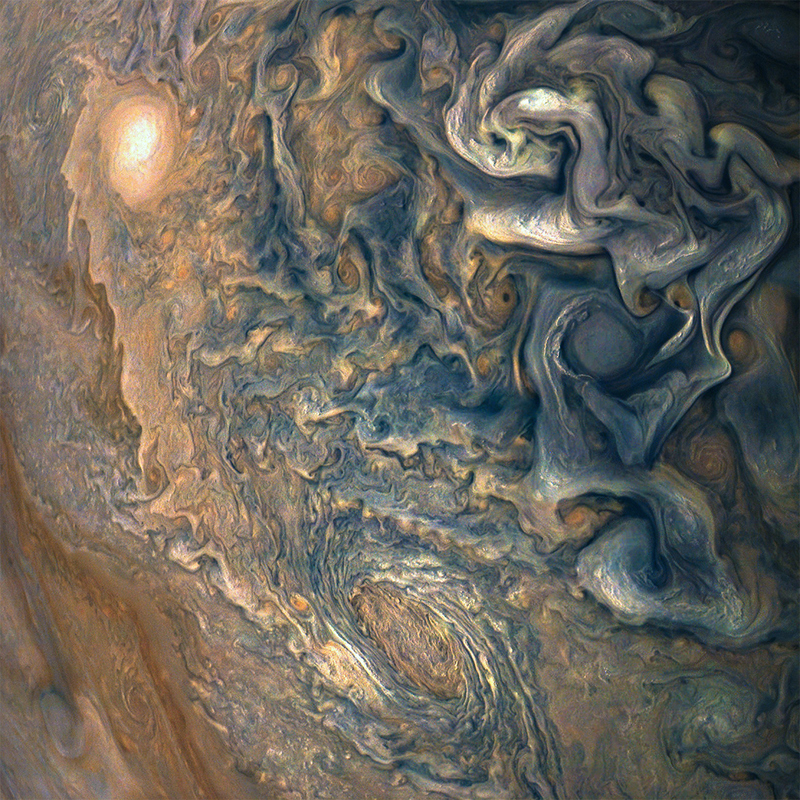 NASA’s Juno spacecraft was a little more than one Earth diameter from Jupiter when it captured this mind-bending, color-enhanced view of the planet’s tumultuous atmosphere. Jupiter completely fills the image, with only a hint of the terminator (where daylight fades to night) in the upper right corner, and no visible limb (the curved edge of the planet). Juno took this image of colorful, turbulent clouds in Jupiter’s northern hemisphere on Dec. 16, 2017 at 9:43 a.m. PST (12:43 p.m. EST) from 8,292 miles (13,345 kilometers) above the tops of Jupiter’s clouds, at a latitude of 48.9 degrees.